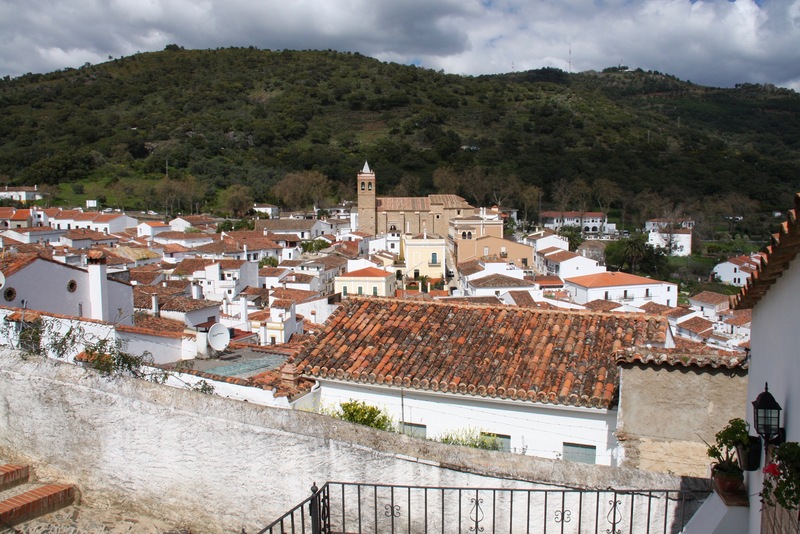 Almonaster la Real is a small town that hides one of the great sights of this area of Andalusia, a one thousand year-old mosque dating from the time when the Moors controlled Spain. Older than the mosque in Cordoba, its graceful Mudéjar arches look like a more rustic version of that city’s beguiling Mezquita. Almonaster mosque’s real claim to fame, is that its Mecca-facing prayer niche is the oldest known example in the country. 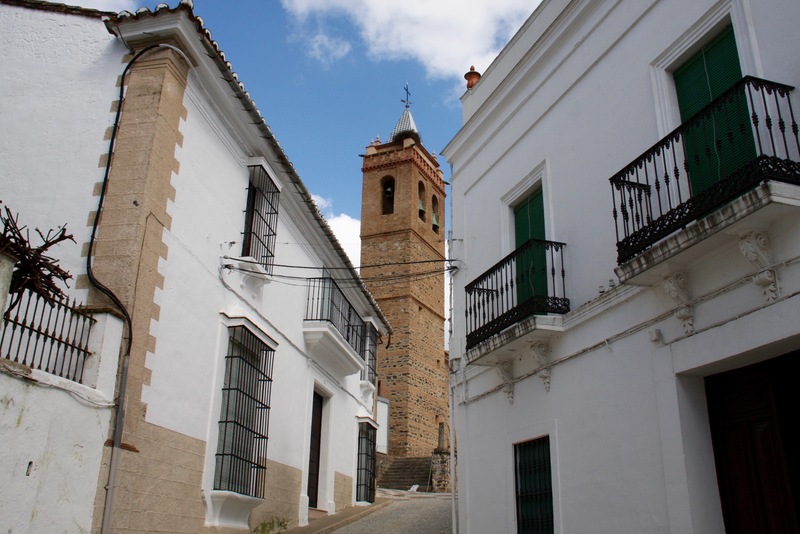 It’s one of the few remaining rural mosques in Spain, many others didn’t survive the religious fervour that came with the Reconquista and Inquisition. 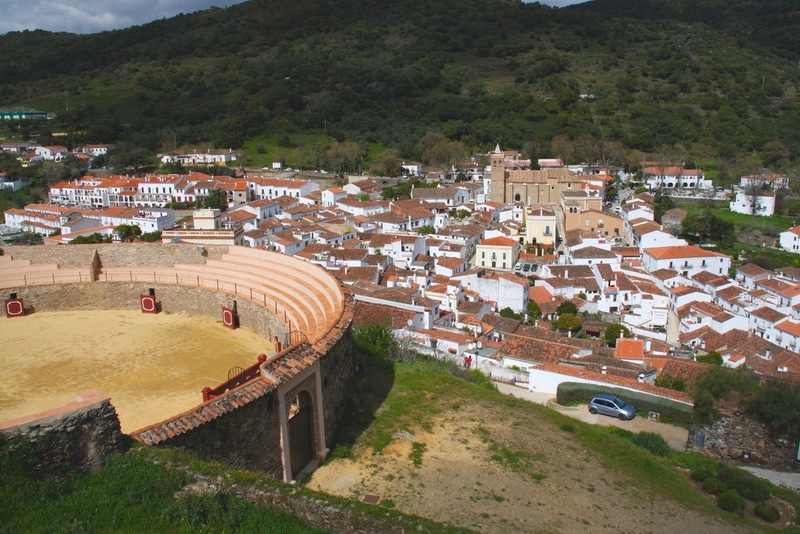 It sits on a hilltop alongside a castle and, bizarrely, just above the town’s bullring. The views, as ever, are pretty impressive. All of which makes it all the more surprising that we had the whole place to ourselves. 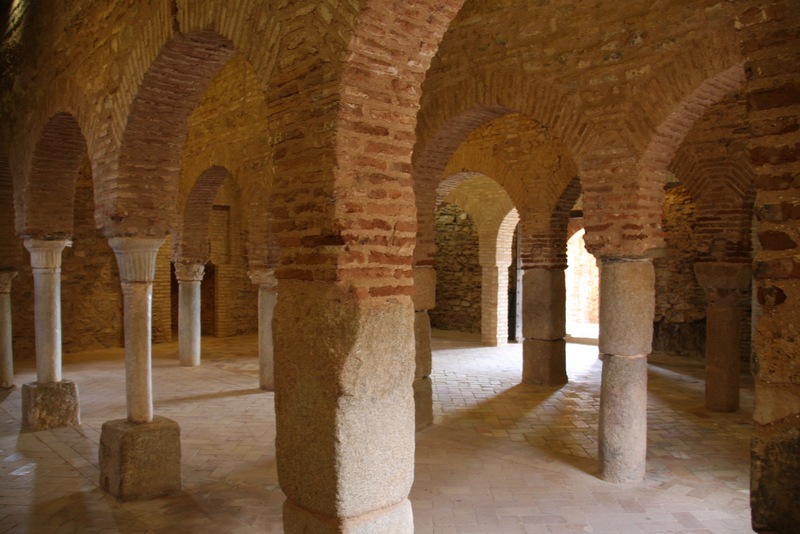 The mosque was built on top of a 5th century Visigoth basilica, which in turn was likely built on top of a Roman temple, giving just a hint of the often unseen layers of history that exist all around. 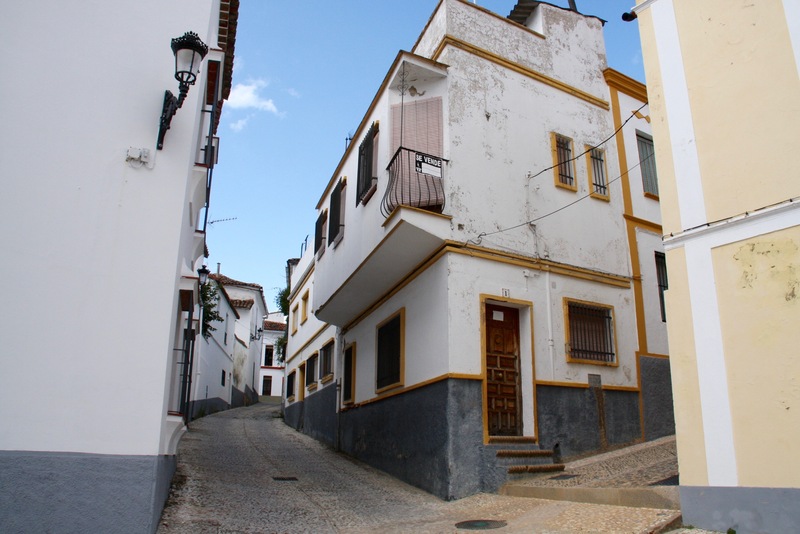 We walked back down the hill through the pleasant village streets stopping for a quick look around the 14th-century Iglesia de San Martín, before jumping in the car and heading south towards El Rocío and the Huelva coast. Directly south of Almonaster la Real lies one if this areas more unusual sights, the blasted, blighted and weirdly coloured landscape of the Minas de Rio Tinto. 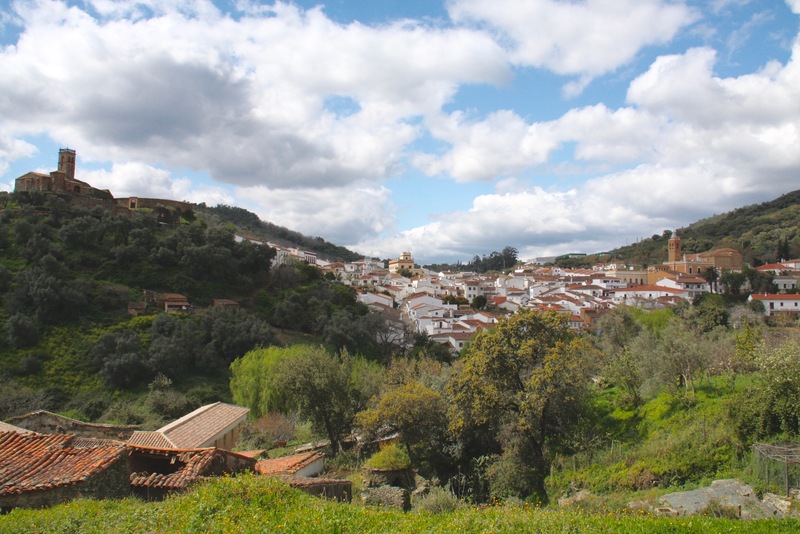 We didn’t have time to visit the museum or take the official tour (and everything seems to be set up around group tours) in the town of Minas de Riotinto. 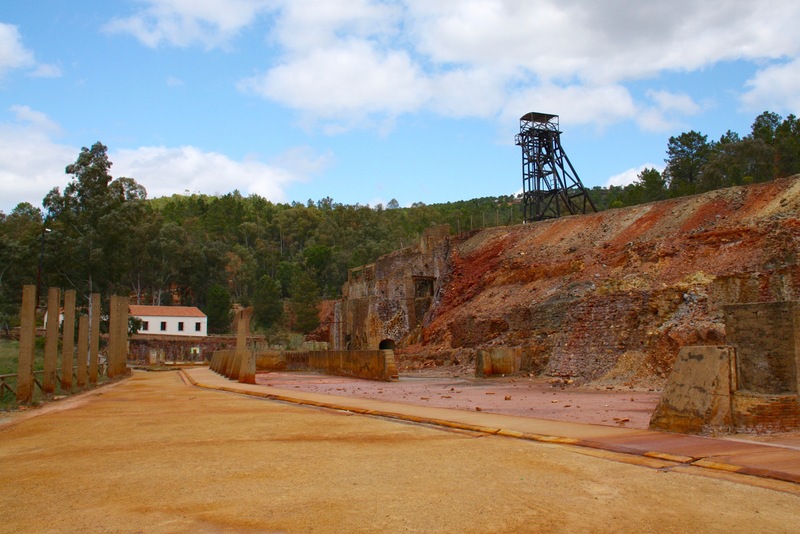 We did want to see some of the otherworldly effects centuries of mining have had on the landscape though. 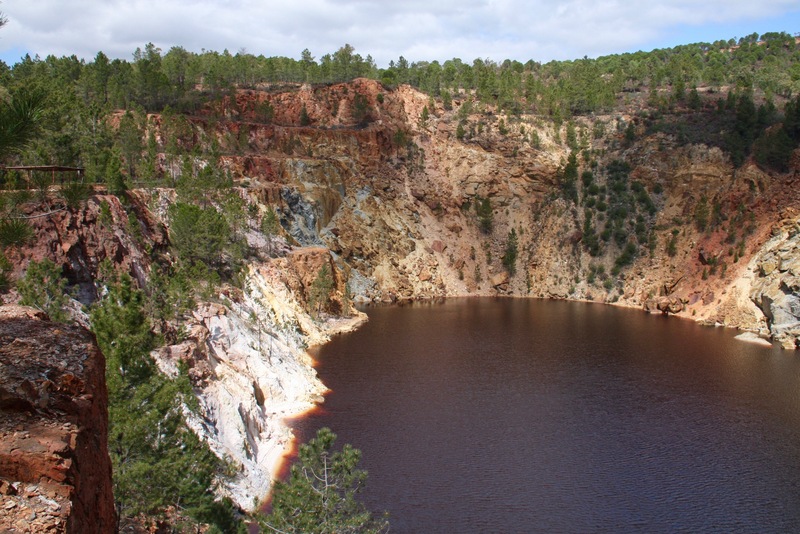 Rio Tinto means Red River, and wine-red water is found throughout this area; it’s a landscape filled with vivid purples, greens, yellows, reds, greys and browns, exposed during mining for lead, iron, copper, silver, sulphur and numerous other mineral ores. Humans have been digging holes in the ground around here for over 5,000 years. The Romans dug up 2 million tons of silver-rich ore to pay for the expansion of the Empire, including the invasion of Britain in AD43. 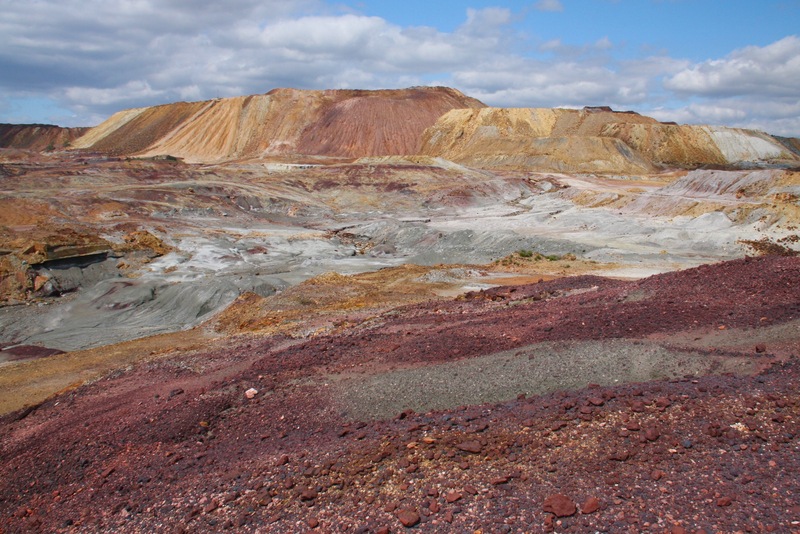 We hadn’t really done our research and thought we’d be able to visit the massive open-cast mine created by the eponymously-named mining giant, Rio Tinto. Although it has now ceased operation, it’s not open to the public. Still, you’d assume it would be easy to find – you can see the thing from space. We ended up surreally driving around trying to locate one of the largest man-made holes on earth … and failed. 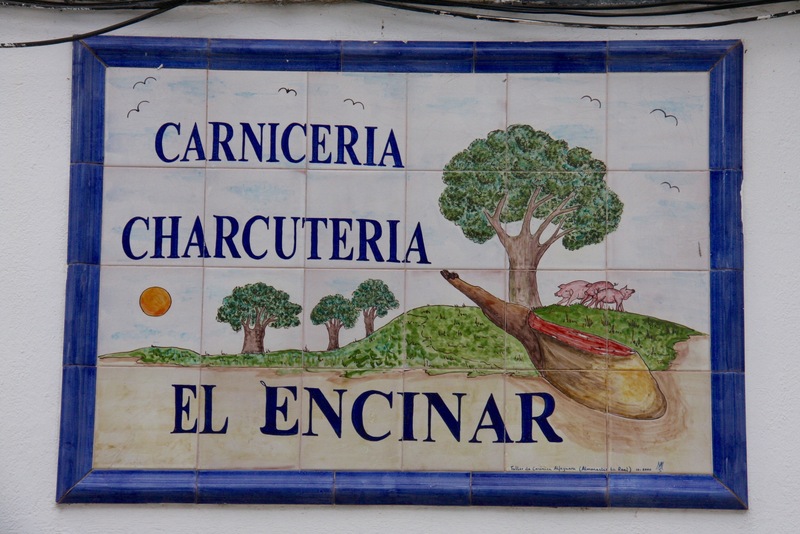 We did find the Peña del Hierro Mine, more by luck than planning, which was pretty dramatic in it’s own right. 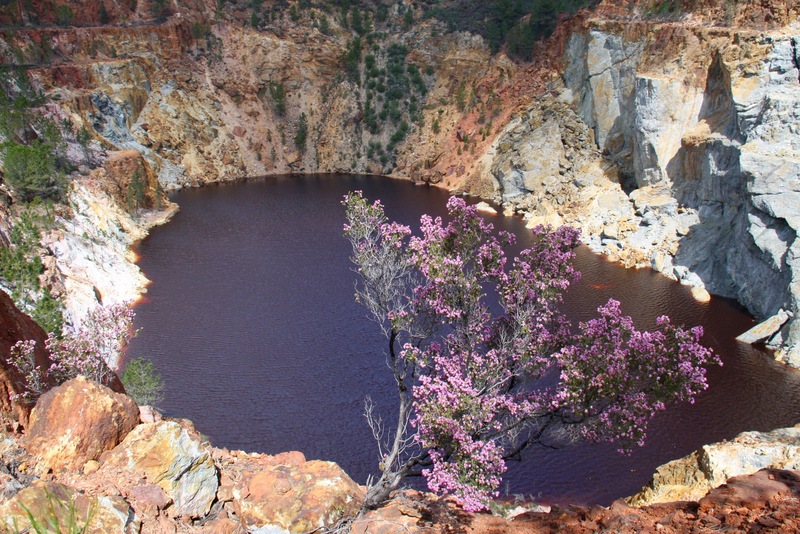 It’s now part of the Rio Tinto Mining Park, which covers a large area of the old mining operations, and is scattered with the remnants of mining activities. We hadn’t arrived as part of a tour and couldn’t visit parts of the mine. 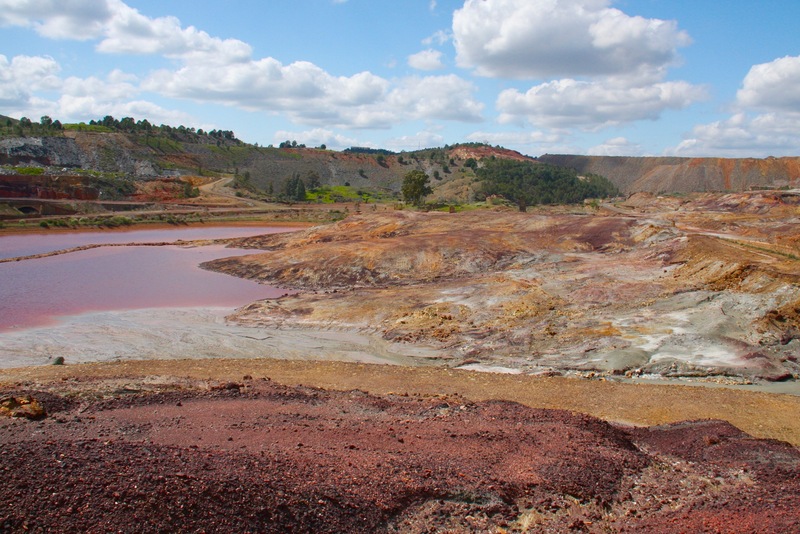 Instead, we walked around the site to the highly acidic red ‘lake’ that sits inside the crater of the mine. So unique is this landscape, so bizarre the microorganisms living in the otherwise ‘dead’ water, that NASA believe this to be the closest environment to Mars found on Earth. They have set up the Mars Astrobiology Research and Technology Experiment here, hoping to unearth clues to how life may have evolved in other parts of the universe. If you’re in the area it’s well worth a visit. Incredible pictures! The colors are so vibrant. 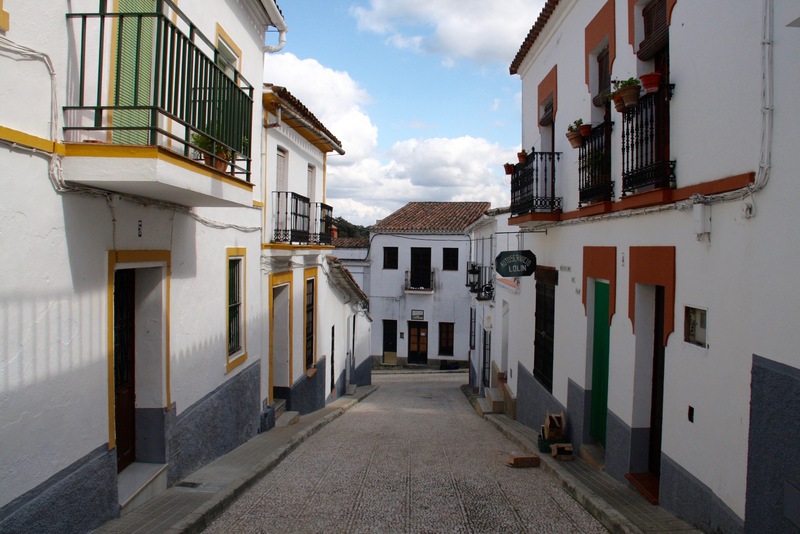 It’s a beautiful part of Spain, it feels very different from other parts of Andalusia I’ve visited.